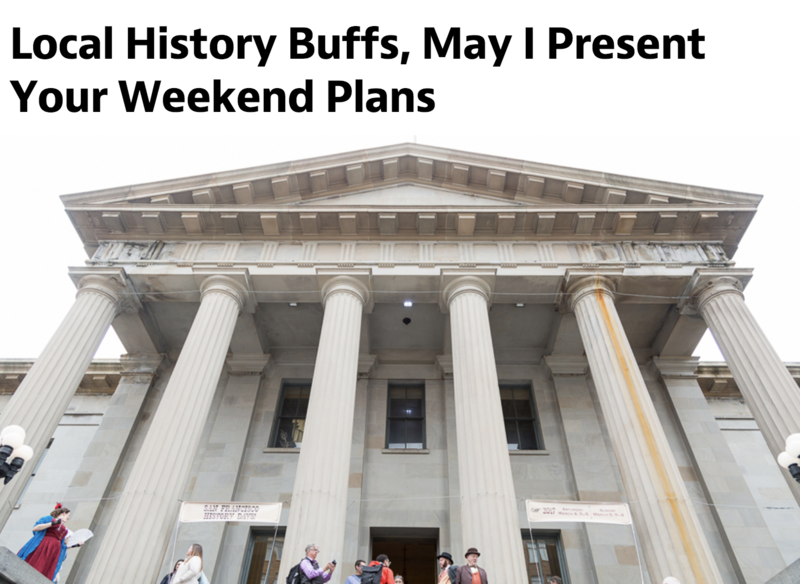 At first glance, San Francisco History Days might seem like a rote learning experience, as community historians, archivists, many different -ologists, educators and re-enactors set up shop at the Old Mint for two days of all things Bay Area history. But the free event is far more than a weekend of staid lectures on a dusty, distant past. Happenings include one-act plays, a sea shanty concert, a talk on the history of drag in San Francisco, a screening of Rick Prelinger’s ever-changing Lost Landscapes of San Francisco, and a room devoted to presentations by Ohlone and indigenous people of the region. And even if you’re only semi-interested in the generations of interesting people, history-making events and bizarre buildings of San Francisco’s past (see Mike Phipps’ talk on the long-lamented Fleishhacker Pool, next to the zoo), the chance to wander freely around the venerable Old Mint — an incredible fortress of a structure that once held one third of the nation’s gold reserves — should be reason enough to visit. But who am I kidding? Being only semi-interested in local history is an unacceptable affliction; History Days will soon cure you. San Francisco History Days takes place at the Old Mint in San Francisco (88 Fifth St.) on March 3 (11am–5pm) and March 4 (11am–4pm). Details here.